In life there are always those things that one always finds baffling - which never seem to make any sense - and, similarly, I also have two such things in my life. One of those seemingly inexplicable things is: why do people always elect into office people who clearly do not care for them, and uses them for their own narrow self-aggrandizement objectives, whilst the electorate is left high and dry, always crying and complaining? The second baffling thing is: why do those same oppressed and suffering people always seek relief and solutions to their predicament from those who are known for their brazen cowardice and inaptitude - who would rather watch you burn in a house, and do absolutely nothing about it...but, probably would side with the arsonist? This is the case with the people of Zimbabwe? In the first instance, it is no secret that the vast majority of us still vote for a political party with a proven track record - nearly 39 years of experience - of incompetence, corruption, and unparalleled brutality. Who can deny that in the recent harmonized elections on 30 July 2018, ZANU PF garnered a two thirds parliamentary majority - something that even the opposition MDC Alliance does not dispute, except for the presidential result. For Pete's sake, what will be going through someone's mind to keep going back to the same place that they have been abused, used, brutalised, starved, and generally have been treated like a piece of garbage - whilst, the perpetrator has only gotten wealthier, more powerful and more cruel? Ishave here? As we would ask in Shona - is it some curse or malicious spirit that makes someone attracted to suffering and pain? As we have all witnessed, today nearly all of us are crying as we undergo a repeat of the same suffering we have had to endure under the same ZANU PF regime for the past 39 years - even those who gave the party the two thirds parliamentary majority are not spared - through, fuel and cash shortages, whilst wild price increases are not to be outdone! We never learn! Chiiko nhai? Have we become like that abused woman who can never get herself to leave the husband who has been abusing and brutalising her for nearly 39 years? No matter how many times others might try to help her to have a fresh start, she always goes back to that same abusive psychopathic husband! One mystery I would never have answers to! Then, as she has always done repeatedly, once that same abused wife has been battered - for the umpteenth time - she runs for help to the husband's friends, who have always sided with him, and given a thumbs up to what ever he has done to her - even accepting his story that there is no abuse, in spite of her black eye, blooded nose, swollen lips, and stab wounds all over her body! This is the very same situation we find ourselves as Zimbabweans. What has regional and continental bodies - the Southern Africa Development Community (SADC) and African Union (AU) - ever done for its oppressed and brutalised people? Yet, we keep having some blind and warped faith in these organisations, that maybe this time around they will help us! Which people, from which country have they ever assisted in their time of desperate need - at the hands of their brutal oppressive governments? Could hundreds of lives not have been saved had SADC and AU taken a firmer stance when the Democratic Republic of the Congo (DRC) then president Joseph Kabila refused to relinquish power at the end of his constitutional tenure at the end of 2016? Yet, when SADC met in South Africa at their 37th Summit between 9th and 20th August 2017, all they managed to do was endorse whatever drivel Kabila assured them. Sounding all weak and childish - yet, trying to appear intelligent and purposeful - the SADC Secretariat issued some drab communiqué to the effect that they fully supported the roadmap towards elections that Kabila had sold them. Kabila proceeded to conduct a sham of an election on 30th December 2018 - not before scores of people were killed in pre-election violence - which resulted in widespread violent protests, leading to the deaths of hundreds more. Where was SADC and AU when all this mayhem was unfolding? Then we come to our own beloved Zimbabwe. Since the early 2000s - soon after the formation of the opposition MDC - the people of Zimbabwe had been crying out for assistance from the brutality of the ZANU PF regime - yet, SADC and AU were conspicuous by their inertia. In fact, Zimbabweans will never forget then South African president Thabo Mbeki's infamous statement that there was no crisis in Zimbabwe! Yet, who was to run around a few years later, in 2008, when there had been a bloodbath in the country after the defeat of then president Robert Gabriel Mugabe by the MDC's Morgan Richard Tsvangirai? Yes, the very same Thabo Mbeki who loudly alleging to the whole world that there was no crisis in Zimbabwe - claiming to have been engaged in some sort of 'quiet diplomacy'. What was the result of those years of 'quiet diplomacy'? The slaughter of hundreds of opposition supporters at the hands of the Mugabe regime. As much as Mbeki could be credited with the subsequent talks between Mugabe and Tsvangirai - that led to the formation of the Government of National Unity (GNU) - could hundreds of lives not have been spared had he done the right thing years prior to this? Did he have to be 'diplomatically quiet', whilst it was clear that a hurricane was brewing? When a hurricane is brewing, one does not go about 'quietly' - you shout, you scream, you can even slap that stubborn child who would rather play outside than hurry indoors! Or, maybe SADC and the AU underestimated the problem at hand. If that was the case, then we have an even bigger problem with our regional and continental bodies - as we expect our leaders to be visionary, foresighted and pre-emptive. If a leader can not fore-see the possible challenges ahead, then they have no business leading. The same thing is happening again in Zimbabwe today. After the relatively peaceful 30 July 2018 harmonised elections - the violent protests, and subsequent brutal crackdown on the opposition and innocent civilians of 1st August 2018, 14th to 16th January 2019 - no one in their right mind can deny that Zimbabwe is on a very dangerous edge. With the loss of so many lives, injuries to hundreds more, and damage and destruction to millions of dollars of property, one would have expected SADC and the AU to be a bit more pro-active. However, as we all so disappointedly have come to expect from our 'fathers' and 'mothers' - they do nothing! The recent statement by SADC on the sidelines of the AU 32nd Heads of State and Government Summit in Addis Ababa, leaves a bitter taste in the mouth. For Zimbabweans, it means more than a bitter taste, but a stark and nightmarish reminder of the 2000's 'there is no crisis in Zimbabwe' statement by Mbeki. We now fear what is to happen next. For SADC and the AU to be so naive as to the true extent and nature of the situation in the country - and what threatens to happen - is not only irresponsibility, but cruel. What is the point of regional or continental bodies, when all they can say is, 'pedzeranai', or 'sort it out yourselves'. Why did they not say the same thing during the colonial and apartheid era? If these so-called leaders of the region and continent had even an ounce of compassion or even wisdom, they would know what such an attitude will most likely yield. History has it all written down! Are they - as in 2008 - waiting for something catastrophic as a bloodbath to suddenly prod them into some concrete and meaningful action? If so, then, maybe they need to redefine their mandate to that of mere firefighters - who only wait for disaster to strike first before acting. The writing has been on the wall for two decades now, for the disaster that awaits Zimbabwe to explode - unless, if this matter is finally taken seriously. What is SADC and AU afraid of? They would not be coming here to take sides, but to mediate and put finality to long-standing issues bedeviling Zimbabwe. SADC and AU already has the blood of the innocent people of the DRC and Zimbabwe, and they have had one more chance to finally exonerate themselves - not for their own sakes alone, but for our survival as a nation - but, they have clearly failed. These organizations have had more than enough opportunities to finally shake off the tag of toothless bulldog, or leaders' club - but, start acting in the best interest of member nations - yet, they have dismally failed. They have let the people down. True regional and continental leadership entails taking a more pronounced and pro-active role in member nations. Standing on the sidelines whilst a member nation threatens to blow up, is not exactly my vision of good leadership. It is time local people within the region and continent realized that the sleeping giants - SADC and AU - will never wake up, no matter how much screaming and shouting you make. It is so regrettable that the fire in our own neighbourhood is only seen - and attempted to be extinguished - by those from distant lands...who might not even understand the true nature of our flight, and likely have their own ulterior and destructive motives. No one - even within a family - would prefer to run to outsiders whenever there is a serious problem within the home - however, if those close refuse to see reality, and take effective action to resolve the issues, then one is left with no other option but to go to complete strangers - as unwise and dangerous as that might be. That is why even in a nation there are police officers and laws governing domestic violence. One would expect domestic matters to be resolved within the family/home set-up - thus, the Shona adages, 'usafukura hapwa', and, 'chakafukudza dzimba matenga' - nonetheless, if those close choose inactivity, then one is forced to go outside. Zimbabweans do not need any foreign interference - as we have witnessed the destructive nature of such - but, we do need help. We do need an amicable solution to our issues, which can boil over anytime - making it too much more difficult to resolve. Zimbabweans are naturally a peace-loving, fun-loving, joyful people, and that should never be allowed to be destroyed, whilst the world just watches. As our national hero, musician Dr Oliver Tuku Mtukudzi once sang, 'hatidi hondo, hatidi mhirizhonga'. The traumatic and painful events of the past six months should never be allowed to be repeated in this beautiful country - never again! We need neutral mediators who can assist us. SADC and AU have dismally failed, by their own reluctance - even to do the most basic of things... diplomacy. Leaving protagonists to sort out their own problems has never worked - history can tell us that. History has already taught us a lot, and if SADC and AU keep repeating the same unworkable and disasterous things, and hoping for a different outcome, then...only Albert Einstein will know an explanation to that! Tendai Ruben Mbofana is a social justice activist, writers, author, and speaker. 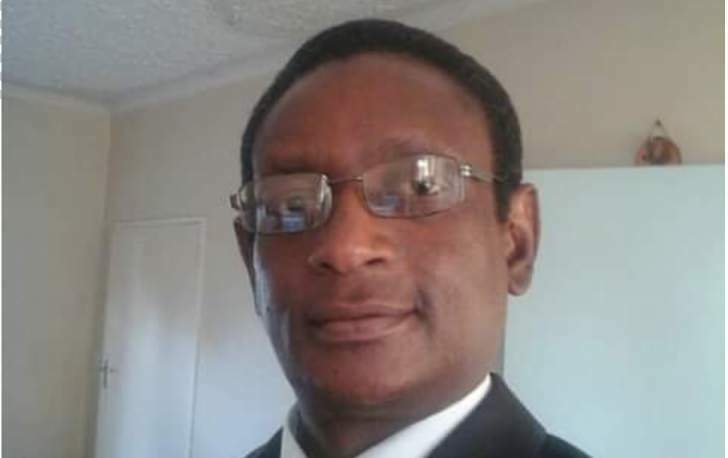 He is the Programmes Director with the Zimbabwe Network for Social Justice (ZimJustice). Please feel free to call / WhatsApp: +263715667700, or email: zimjustice@gmail.com.